Now in its 12th year, the much-loved Tesco Christmas CES has had yet another name change. 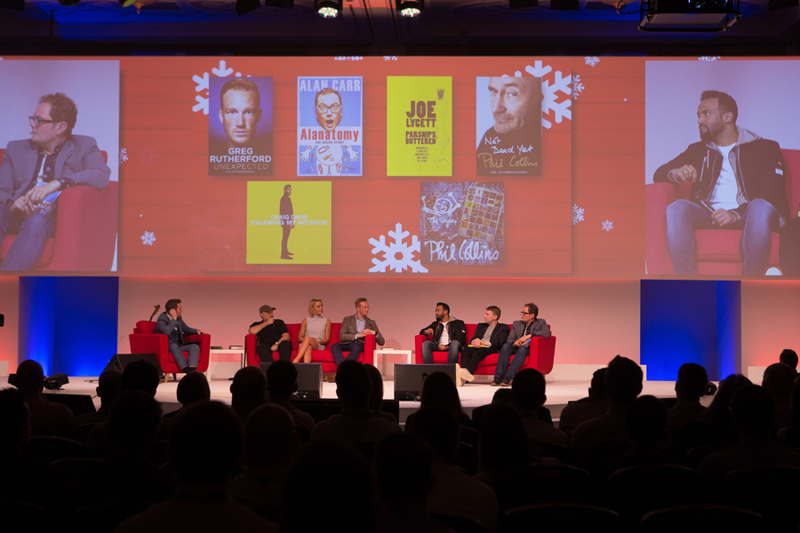 After GM and Tesco Mobile decided this was the year to run their own separate conferences, the CES became “The Tesco GM Christmas Conference”. With a fresh audience and another new name, it was then decided it was also time for a format change. This resulted in a 3 day conference for 600 Tesco staff from both the North and South of the UK coming together for the first time in years! As always this year’s GM Conference was the largest ever. With 43 key Suppliers setting up home in the exhibition hall, another marquee installation providing overflow exhibition space, a jam packed agenda and not forgetting our delegate cinema night and awards dinner – the event can only be described as a logistical challenge which was delivered with precision. However it didn’t stop there. With delegate learning being top of the agenda, operational sessions were shoe horned in alongside key GM updates. 3 replica stores were constructed to showcase this Christmas’ top products and best practice when merchandising the stores with Tesco also unveiling their new Christmas branding for Christmas 2016. And finally what would a Tesco GM Conference be without our good old celebrities arranged by the Tesco Books Team. With appearances from Alan Carr, Phil Collins, Greg Rutherford, Joe Lycett alongside a very special performance from Craig David these were not your standard plenary sessions. Delegates were even treated to a mini concert from Rick Astley to top things off before parting the night away to our resident DJ .